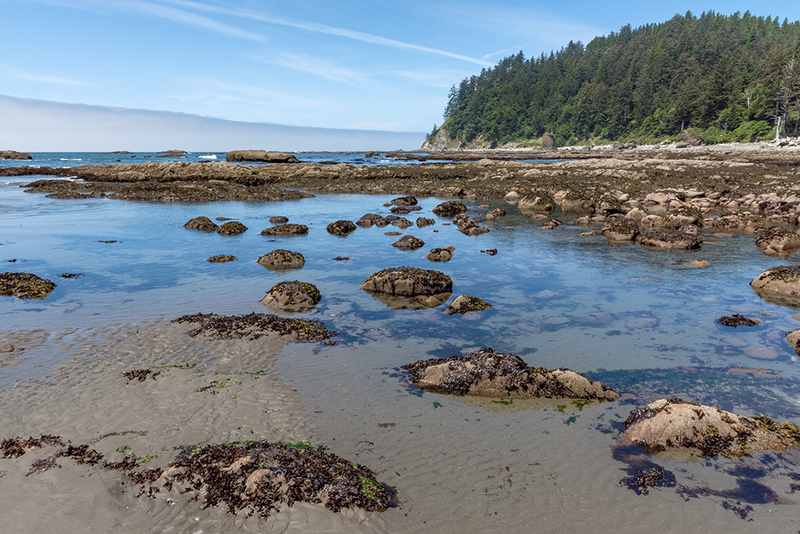 You can see the Quillayute town of La Push and the rocks of First Beach in the background. 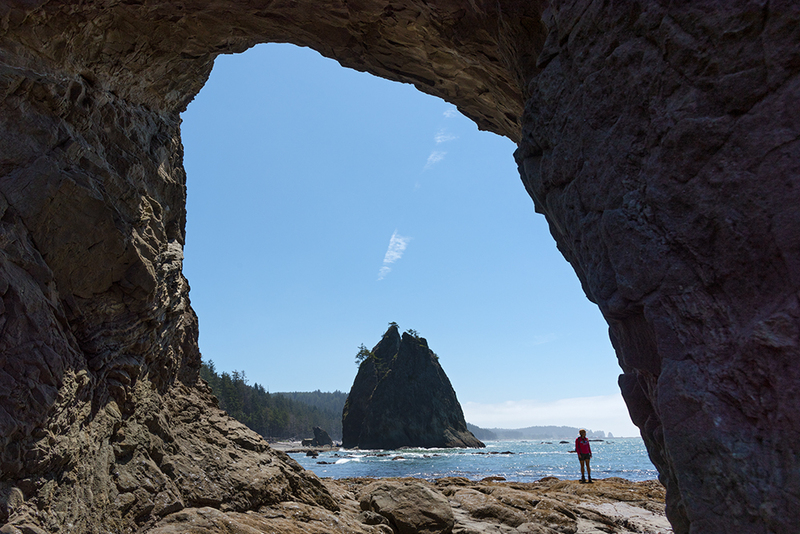 We hit another Olympic National Park beach - Rialto Beach, on our next day. There are huge mounds of driftwood - and I mean entire tree-sized driftwood - along the parking area and pushed up against the edge of the forest. 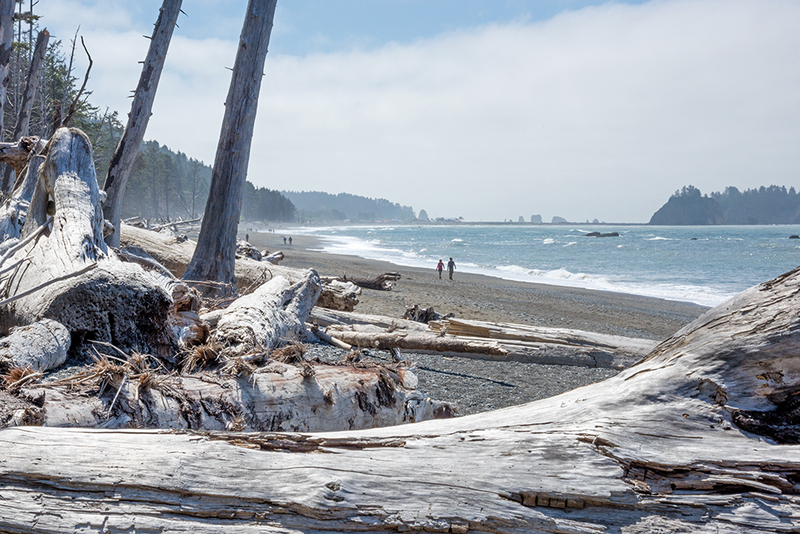 We saw some of that at Ruby Beach, but this just went on and on and on down the shore, as far as you can see. 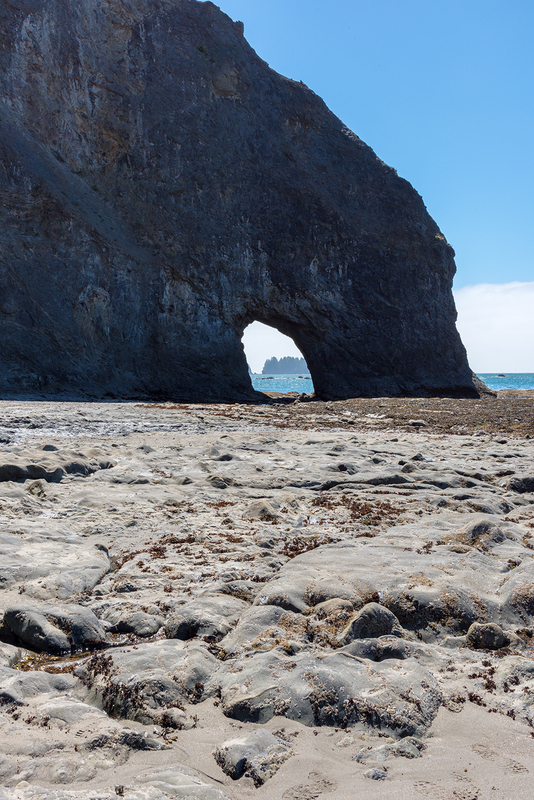 We walked down to Hole-in-the-Wall, a huge stone arch surrounded by tide pools. Grandpa walked with me while Bri and W took off to get their feet wet (brrrrrrrr!). We all had a nice time, soaking up the sun and watching the birds and a seal feeding at the shoreline. The view once you pass through Hole-in-the-Wall. 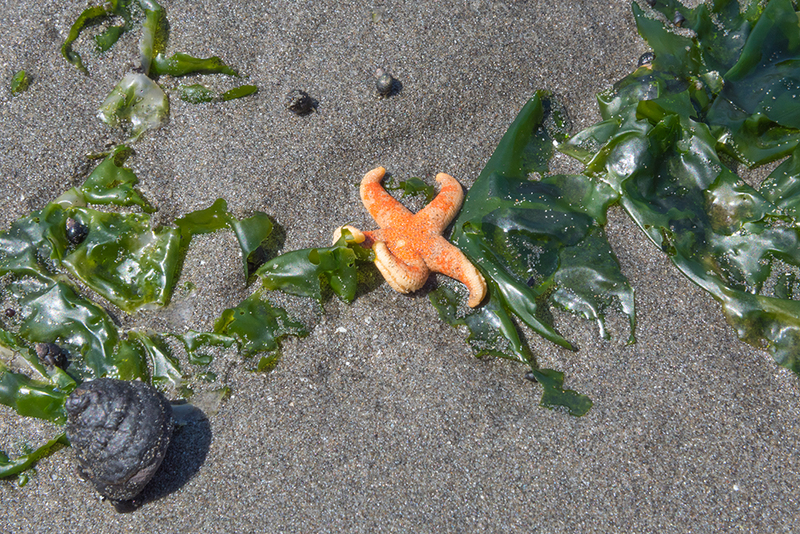 While these tide pools were not teeming with the volume of sea creatures we saw at Cannon Beach, there were still some to be found.